Why listen to the ocean's voices? 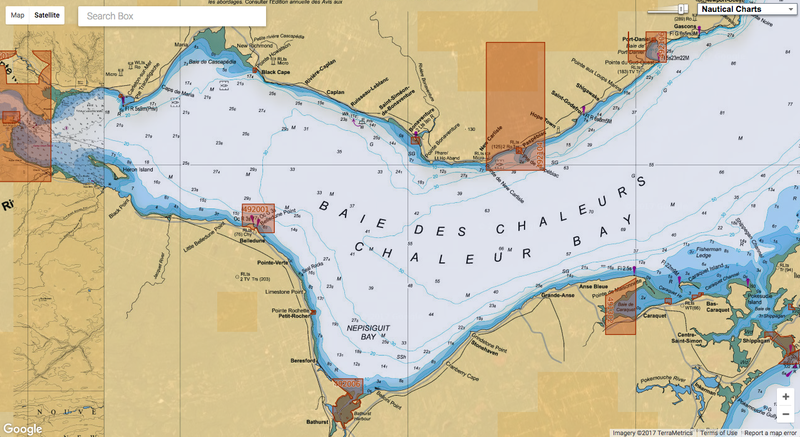 This talk highlights renowned scientist Christopher Clark's research on the effects of sonar, shipping noise and offshore energy activities on marine mammals at both local and ocean-basin scales. His work has been cited by his peers including Peter Tyack's 2010 TED Talk on whale communications. Clark pioneered the ocean listening systems for studying whales and other marine life. His work has been cited by Peter Tyack's 2010 TED Talk on whale communications. His research has led to a better understanding of the effects of sonar, shipping noise and offshore energy activities on marine mammals at both local and ocean-basin scales. An engineer and biologist, Clark is the founding director and Imogene Johnson Senior Scientist at the Cornell Lab of Ornithology Bioacoustics Research Program at Cornell University. He is also a senior scientist at the university’s Department of Neurobiology & Behavior. The crest of the rogue propogates from the right to left. University of Miami Rosenstiel School of Marine and Atmospheric Science scientist Mark Donelan and his Norwegian Meteorological Institute colleague captured new information about extreme waves, as one of the steepest ever recorded passed by the North Sea Ekofisk platforms in the early morning hours of Nov. 9 2007. Within the first hour of the day, the Andrea wave passed by a four-point square array of ocean sensors designed by the researchers to measure the wavelength, direction, amplitude and frequency of waves at the ocean surface. Aerial view from southwest (elevation 45 degrees) of the reconstructed Andrea wave. The colorbar indicates surface elevation. Vertical exaggeration is seven. The blue dot (location: 0,0) indicates the observed crest of 14.97 m above MSL; the red dot indicates the reconstructed maximum crest height of 15.33 m at location: 14 m West, 6 m North. 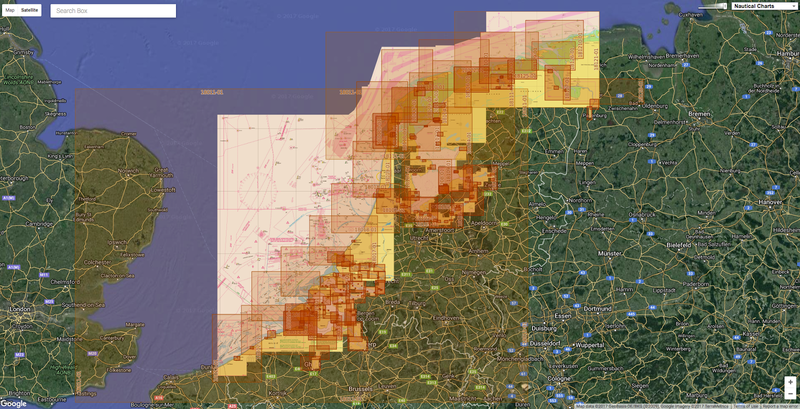 The crest was advancing to the SSE (164 degrees) at 17.85 m/s. Using the information from the wave set—a total of 13,535 individual waves—collected by the system installed on a bridge between two offshore platforms, the researchers took the wave apart to examine how the components came together to produce such a steep wave. The data from the 100-meter wide “wall of water” moving at 40 miles per hour showed that Andrea may have reached heights greater than the recorded height of 49 feet above mean sea level. They also found that rogue waves are not rare as previously thought and occur roughly twice daily at any given location in a storm. The findings showed that the steeper the waves are, the less frequent their occurrence, which is about every three weeks at any location for the steepest rogues. Surface elevation of groups in each period band displayed on axes of time and logarithm of period in seconds. All 32 periods are displayed and their sum (divided by 20) is graphed along the time axis. The Andrea crest is at 862 s.
The Andrea crest height was 1.63 times the significant height (average height of the one third highest waves). Optimal focusing of the Andrea wave showed that the crest could have been even higher and limited by breaking at 1.7 times the significant height. A 100-foot wave hits a ship in the North Sea, during an intense storm. Had the ship been much smaller it could have been catastrophic, but the ship managed to withstand the blow. This establishes the greatest height rogues can reach for any given (or forecasted) significant height. The study, titled “The Making of the Andrea Wave and other Rogues,” was published in the March 8 issue of the journal Scientific Reports. The authors include: Donelan and Anne-Karin Magnusson from the Norwegian Meteorological Institute. The work was partly performed within the ExWaMar project (ID 256466/O80) funded by the Norwegian Research Council. ConocoPhillips provided the wave data. The Azure Window, a 50 metre high rock arch, at Dwejra Point cliffs on the west coast of the Maltese island of Gozo. A rock structure in the form of an arch which had featured in countless Malta tourism brochures collapsed into the sea on Wednesday in what Prime Minister Joseph Muscat described as a "heartbreaking event". 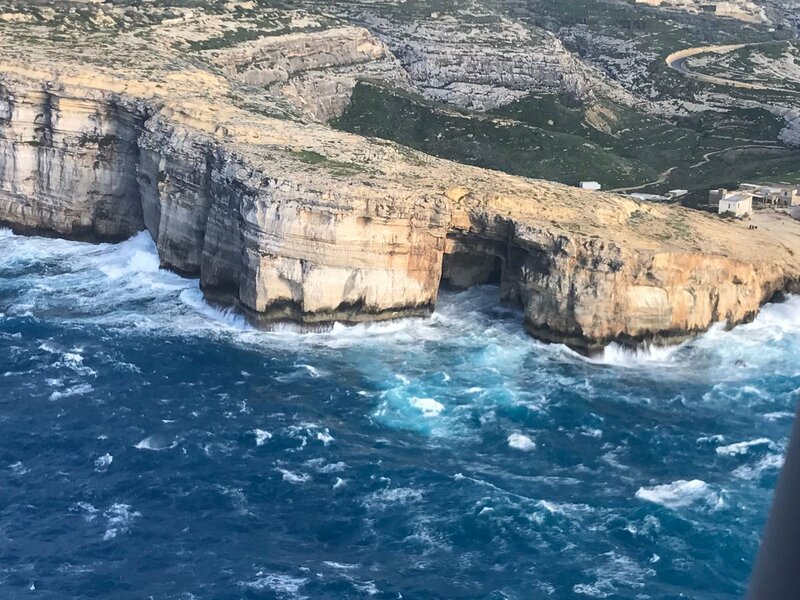 Geologists had long warned that the structure, on the north-western coast of the small island of Gozo, was eroding fast and the authorities had banned visitors from walking on top of it. The structure, known as the Azure Window because it arched over blue seas popular with divers, collapsed as Malta was hit by rough seas and stormy weather. 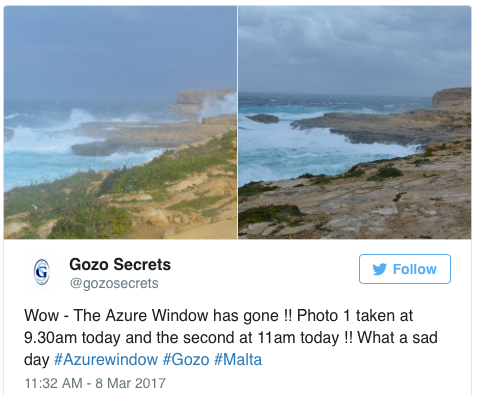 Gozo resident Roger Chessell went to the coastline in the morning to take pictures. "There was a big raging sea beneath the Azure Window," he told the Times of Malta newspaper. "Suddenly, the arch collapsed into the sea with a loud whoomph, throwing up a huge spray." Prime Minister Muscat said in a Tweet that the famous Mediterranean landmark had always faced destruction because of natural corrosion. "That sad day has arrived," he wrote. Video made by Royal Dutch Shell in 1991 about Climate Change. That was among the many clear warnings that oil giant Shell issued in a film it produced about climate change more than 25 years ago. Many environmentalists, however, argue that the company has largely ignored its own alarm bells. The 1991 film, “Climate of Concern,” resurfaced Tuesday on the Dutch online news outlet The Correspondent. If Shell knew climate change was dire 25 years ago, why still business as usual today? It’s the latest in an ever-growing body of evidence that suggests the oil industry has long known about the climate risks associated with carbon dioxide emissions — and has actively worked to cover them up. “The need to understand the interplay of atmosphere and oceans has been given a new sense of urgency by the realization that our energy-consuming way of life may be causing climatic changes with adverse consequences to us all,” the nearly 30-minute video notes. The film is eerily prophetic, warning of spiraling global temperatures, a sea level rise that could prove “disastrous,” wetland habitats inundated by salt water and ferocious storm surges brought on by warming ocean temperatures. “What is now considered abnormal weather could become a new norm,” the film’s narrator says. According to The Correspondent, which shared the video with The Guardian, the film was produced for the public eye, particularly for viewing in schools and universities, but has gone largely unseen for many years. In an interview with The Correspondent, professor Tom Wigley, the former head of the Climate Research Unit at the University of East Anglia, which assisted Shell in creating the film, spoke about the accuracy of its predictions. Along with linking fossil fuel consumption and rising carbon dioxide emissions to warming global temperatures, the film celebrates renewable energy technologies, including solar and wind. Although Shell does recognize climate change and made investments in wind energy, it is also a key player in the destructive and dirty Canadian tar sands. But environmental groups aren’t convinced that the company has walked the walk when it comes to acting to combat climate change. “The fact that Shell understood all this in 1991, and that a quarter-century later it was trying to open up the Arctic to oil-drilling, tells you all you’ll ever need to know about the corporate ethic of the fossil fuel industry,” Bill McKibben, the co-founder of 350.org, said in a statement. “Whether or not the threat of global warming proves as grave as the scientists predict, is it too much to hope that it might act as the stimulus, the catalyst, to a new era of technical and economic cooperation?” the narrator asks. For decades residents of Reunion, a small French Territory in the middle of the Indian Ocean, lived in relative harmony with the surrounding ocean and its inhabitants. From The Economist by S.M.M.S. But last month Alexandre Naussance, a 26-year-old fellow surfer, became the eighth person to be killed by a shark in the waters around the island since 2011. In the past six years 20 people have been attacked by sharks in Réunion. In terms of deaths, the tiny island takes first place. 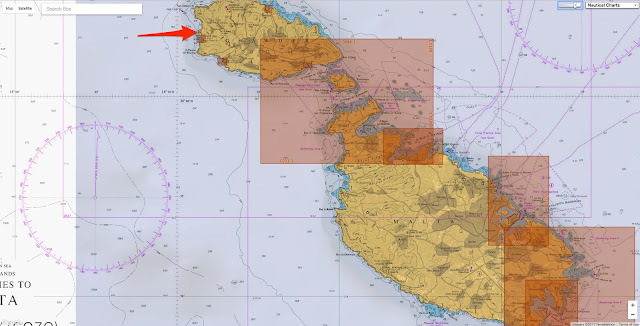 Why have the waters around Réunion become so dangerous? A decade ago, shark attacks in Réunion were rare. They also mainly occurred away from the island’s western coastline, the most popular with tourists and surfers. “Everything changed in 2011,” says Mr Creedon. That year alone there were six shark attacks, five of which took place around the tourist hub of St-Gilles-les-Bains. Since then the numbers have steadily risen, with three attacks within six months in 2013, including two fatalities. One of these was a 15-year-old French girl who was swimming just five metres out from the beach in St Paul when she was attacked. Her death caused a public outcry. Local authorities implemented a ban on swimming and water sports across almost all of Réunion’s beaches. Despite the rising death toll, locals and tourists continue to ignore warnings (though in the case of Mr Naussance the warning signs had been sawed off the previous weekend). The sharp rise in attacks is the cause of much debate in Réunion. Many locals blame the government’s ban on shark meat in the 1990s, or the creation of a protected marine nature reserve along the west coast in 2007. Experts say it is unlikely that either of these factors is responsible. Some argue that the overfishing of other species has had an impact on shark behaviour. Dwindling fish stocks make hungry sharks more likely to come in to shore in search of food. Others suggest environmental damage caused by Réunion’s growing population, and urban development along its western coastline. 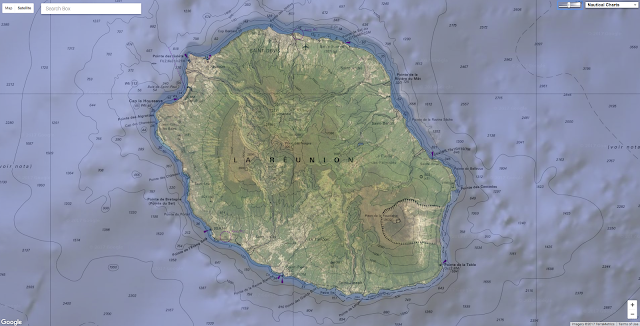 The geology of the island also contributes: steep volcanic slopes mean rainfall quickly washes waste and debris down into the sea. The murkier water is appealing to bull sharks, the prime culprits. The sharp drops and deep waters around the island also allow both bull and tiger sharks, which usually remain in the ocean’s depths, to glide all the way up to the beaches with ease. The island is paying a high price. The government has spent millions on anti-shark defences, with limited success. The attack count continues to rise, while tourism to the island, a French overseas department with one of the highest unemployment rates in France, continues to suffer. Despite a slight resurgence last year, the number of visitors has not returned to 2011 levels. With just 450,000 visitors in 2016, the tourist economy of Réunion is dwarfed by that of neighbouring Mauritius, which received over 1m people. Since this latest attack, there have been renewed calls for a large-scale shark cull around Réunion to protect surfers and, with them, the struggling tourist industry. Conservationists and marine biologists however say this would only be a short-term fix; such a cull would harm the ecosystem. In the long run more research into shark behaviour could help predict attacks—but would be costlier than culling. EarthTouchNews : Kelly Slater, sharks and surfers: How do we move forward? The Smithsonian : Why Is This Indian Ocean Island a Hot Spot for Shark Attacks? Each pair of sunglasses manufactured by Norton Point bears the latitude and longitude of its ocean plastic's origin. 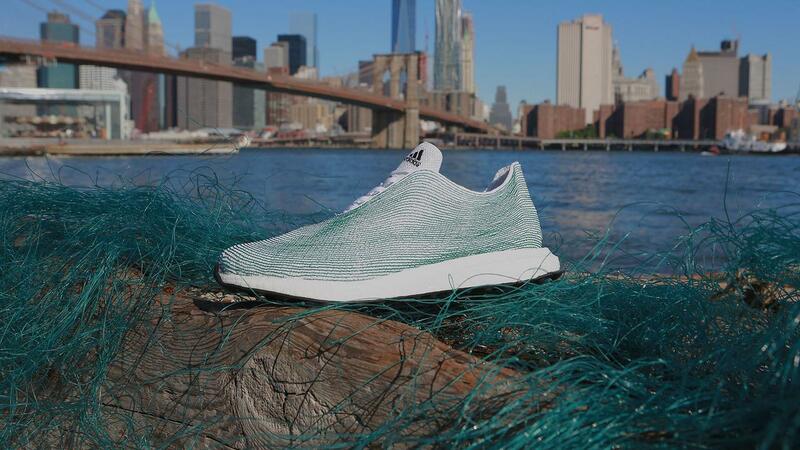 In addition to Haiti, the company has identified ocean plastics from Indonesia and Hong Kong as potential collection streams. 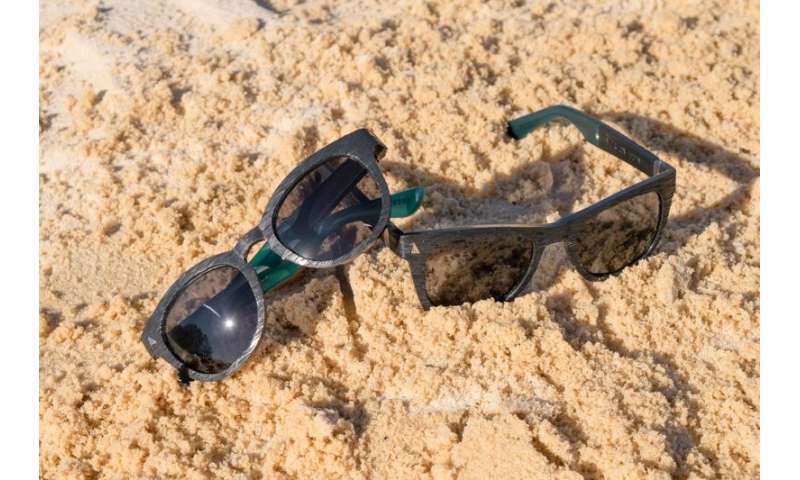 Two years ago, socially conscious entrepreneurs Rob Ianelli and Ryan Schoenike founded their company, Norton Point, to manufacture sunglasses made from the huge amounts of plastic cleaned up from ocean coastlines. Their goal was to be a part of the solution to one of the planet's greatest challenges: the 8 million tons of plastic entering Earth's oceans each year. 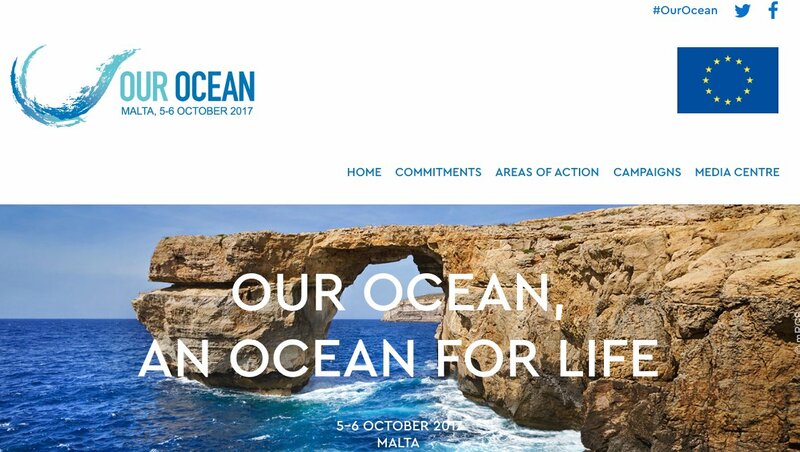 Moreover, they wanted to reinvest their profits in research, education and development efforts that help reduce the impact of ocean plastic. Now, engineers and polymer scientists with the University of Georgia's New Materials Institute are helping Norton Point, which is based in Martha's Vineyard, Massachusetts, with testing of its "ocean plastics" products and finding new product applications. "Packaging represents about half of all plastics produced, and single-use plastic items make up the majority of what is found on beaches," said Jenna Jambeck, associate professor of engineering and director of Center for Circular Materials Management in the New Materials Institute. The amount of plastic pollution in the oceans is staggering and Dell’s innovative approaches to packaging provide an opportunity to begin addressing the problem. Her study of ocean plastics, published in the journal Science in 2015, quantified for the first time the amount of plastics flowing into the earth's oceans, drawing worldwide attention to the issue. Jambeck's study was published at an opportune time for the Norton Point founders, who had been exploring the idea of manufacturing sunglasses from ocean plastics. "But we were concerned about doing it right," said Schoenike. They connected for the first time with Jambeck last year at an Oceans conference, and since then, Schoenike said, the New Materials Institute has "moved our goals and the issue forward" together. Jambeck explained that one of the plastics used in single-use plastic products is high-density polyethylene, or HDPE, which doesn't biodegrade. "It only breaks down in the environment by creating smaller and smaller fragments," she said. Jambeck said we need to ask how we can recapture the valuable resources in materials like littered plastics-that is, repurpose them into new products. "By changing the way we think about waste," she said, "valuing the management of it, collecting, capturing and containing it, we can open up new jobs and opportunities for economic innovation, and in addition, improve the living conditions and health for millions of people around the world and protect our oceans." New Materials Institute researchers will work with Norton Point to help make "green" products from re-purposed plastics obtained from locations around the globe. "Norton Point wants to know how the recycled materials respond to different manufacturing processes like extrusion and injection molding, and how they compare with virgin petroleum-based high-density polyethylene in terms of qualities like impact-resistance, toughness and durability," said Jason Locklin, director of UGA's New Materials Institute and associate professor of chemistry and engineering at UGA. The institute also is looking to help Norton Point identify new types of products that make the best use of the material properties of ocean plastics. In the same way that claims on other types of post-consumer waste are regulated, the New Materials Institute plans to explore the potential for certification and labeling of ocean plastics. During last carnival a few riders confronted one of the last truths in the world: big ocean exploring.